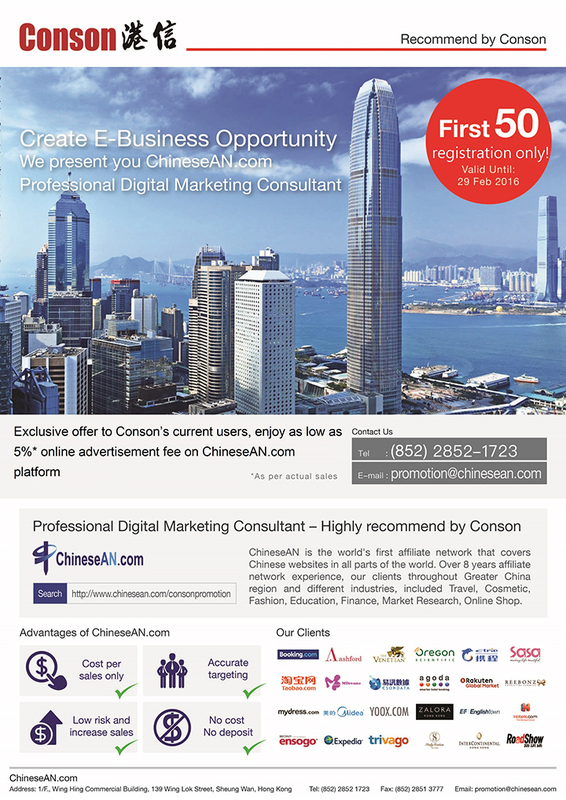 ChineseAN.com joins with Conson released exclusive limited offer to Conson’s users (For first 50 registration only). From now on until 29 February 2016, Conson’s user can visit the promotion website to register this offer, enjoy as low as 5%* online advertisement fee on ChineseAN.com platform. And there are no setup fee, deposit and minimum charge.